Decking is one of the most modern ways to add a solid relaxing space to any garden. 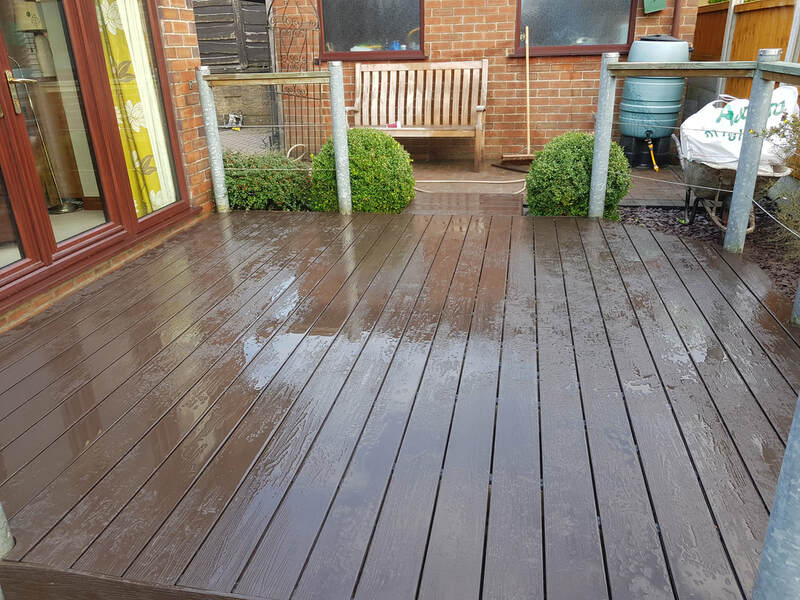 Unlike paving or patios decking gives a softer look to your outdoor space. Decking is more cost effective when compared to a modern paving stone. 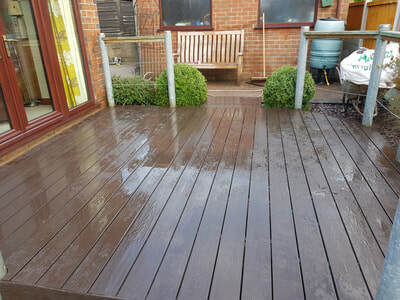 If you're still unsure what you want from your outdoor space or you are ready to hire the professionals to create the low maintenance garden of your dreams get in touch with us now and we will be happy to help with a free consultation and design. Our prices are probebly the most affordable in the area of Stoke-on-Trent but our passion and craftsmanship is second to none! 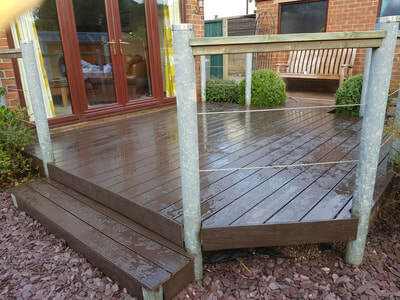 The images below are from a project we completed in Baddeley Green, Stoke-on-Trent just off Nursury Lane. 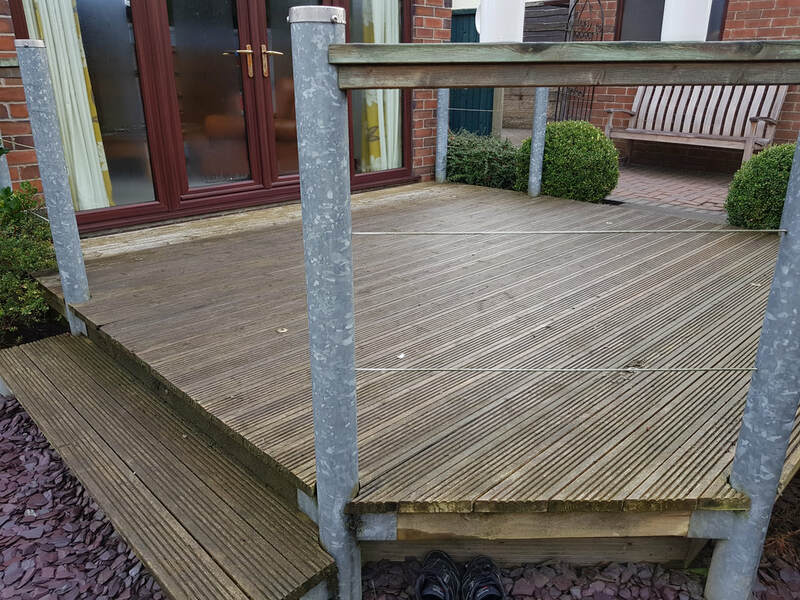 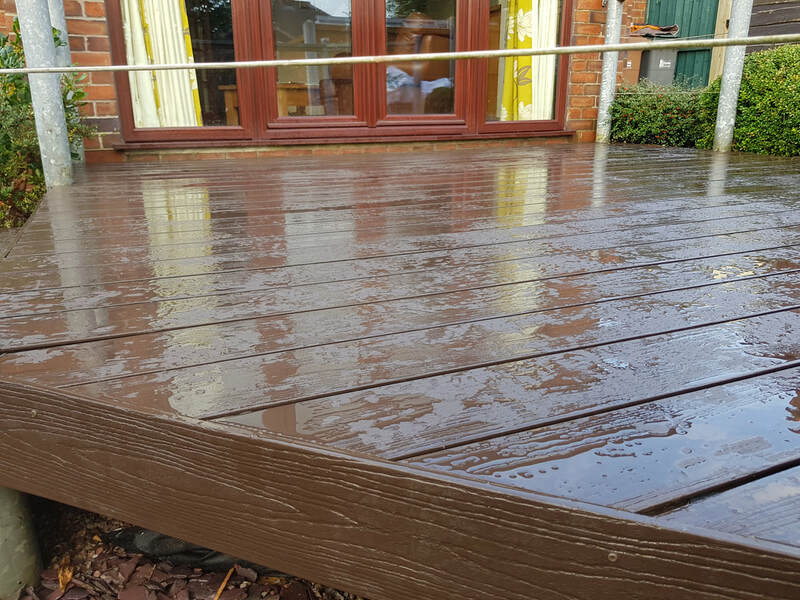 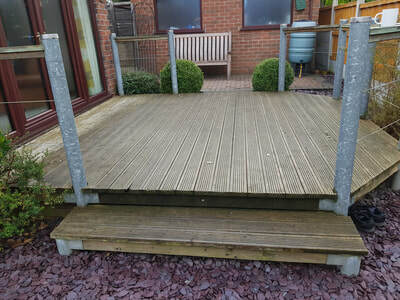 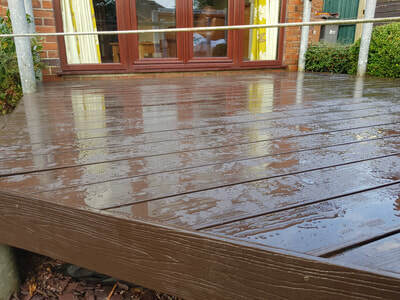 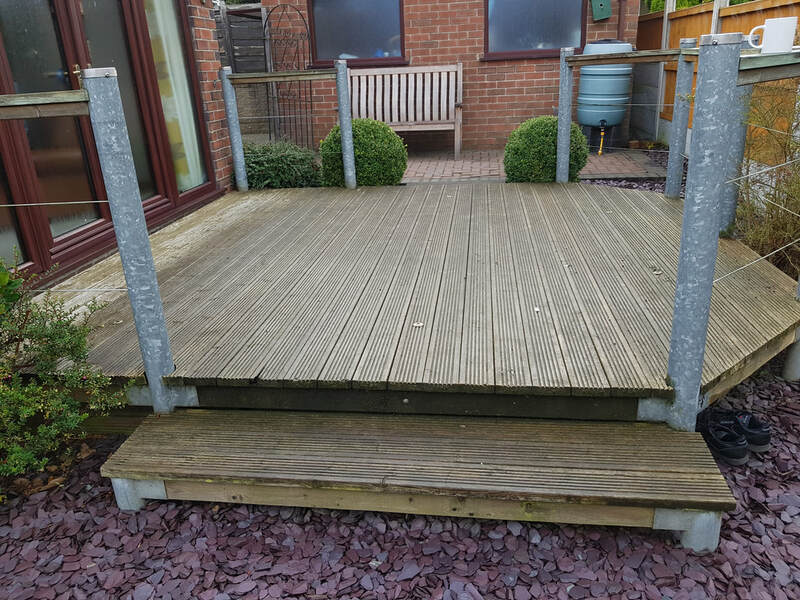 Our customer found her natural decking slippey and a bit worn but really enjoyed using the space. 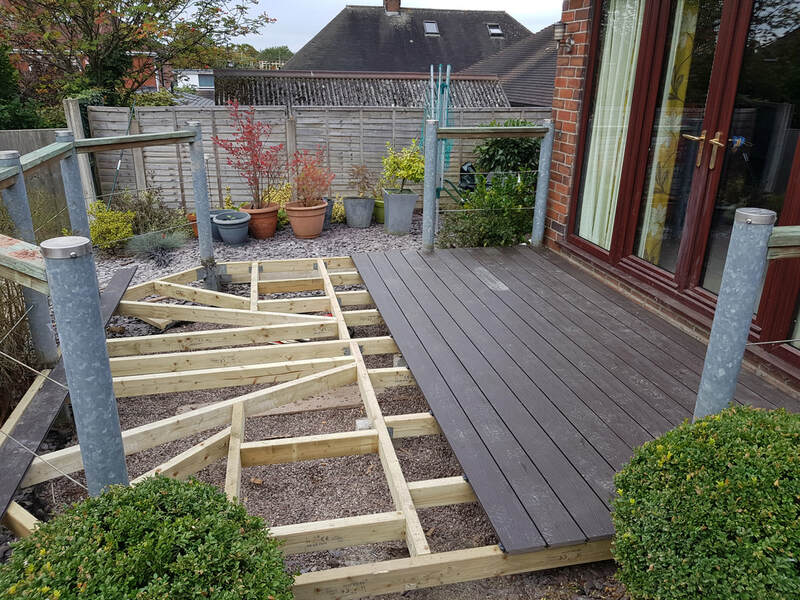 For her composite decking was the perfect solution!